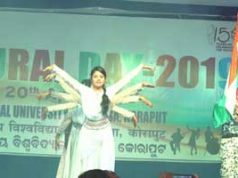 Sambalpur: Mahanadi Coalfields Limited (MCL) celebrated International Women’s Day with Women In Public Sector (WIPS) and Jagriti Mahila Mandal organising various events to commemorate the occasion. 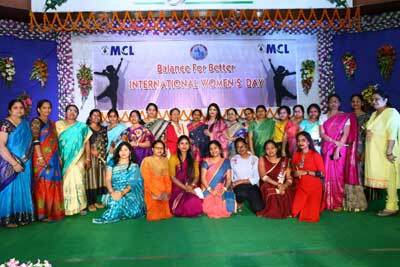 Smt Anita Mishra, president of Jagriti Mahila Mandal was the chief guest at a function organised to honour women achievers. 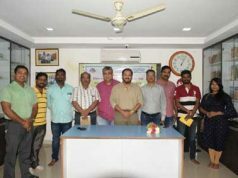 Large number of working women as well as homemakers participated in the programmes, which included cultural programme, discussion, healthcare and charity. .
Vice presidents of Jagriti Mahila Mandal Smt. Parmjit Kaur, Smt Madhu Mishra, Dr. Naushina Afrin Ali, (Advocate-Chhatisgarh High Court), Smt. Padamja Singh and Smt Padmini Vasudevan were prominent among large number of women participants at the events in the headquarters. Meanwhile, similar programmes were also organised by WIPS members,Ladies Club, Jagruti Mahila Mandals in different areas of the company.